Charm, space & character await at this beautiful 3 BR, 1.5 bath, 2 car garage home! Situated on a corner lot, you will fall in love with 3100 Roland as soon as you pull up! The current dining room offers ample room & original hardwoods. Step into the kitchen featuring tile flooring, white cabinetry & a generous amount of cabinets & counter space. The kitchen opens up to a huge added-on family room featuring soaring vaulted ceilings & access to your deck & backyard. Main level also boast 2 bathrooms & 2 large bedrooms w/ original hardwoods. The upstairs is setup as a giant 3rd bedroom & offers endless possibilities! The lower level is partially finished w/ ceilings & walls & is current used as an add'l sleeping area & office along w/ laundry hook up & ample storage. The quaint backyard is fenced in & backs to the over-sized 2 car garage complete w/ a side workshop area. 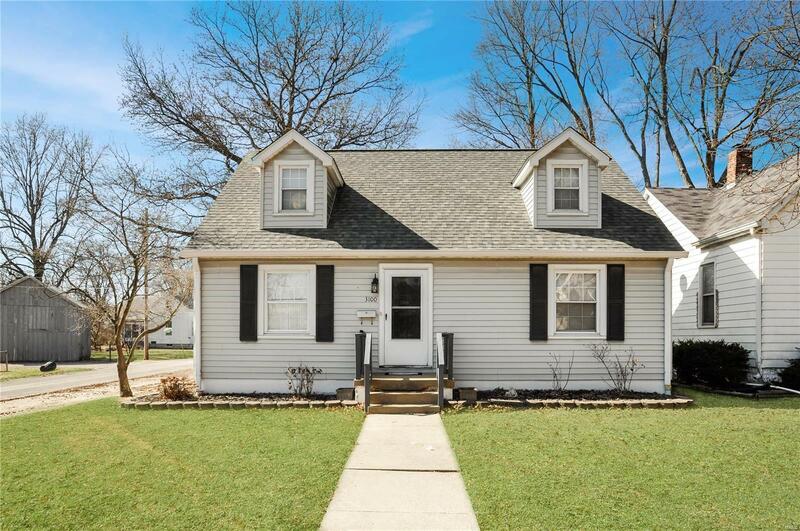 Newer roof, chimney tuck pointing, windows, HVAC & much more complete this wonderful home! Live where you love today!